RE: Home made special tool! Are you a millionaire yet from that one? Man, I swear you're McGuyver (sp?) of the Volvo World. You make more tools to work on cars (and they freaking work) than anyone I know! You should be rich off those tools! hey tech, i made the same tool today. I have p0455 code, gross vacuum leak. Is it ok to plug this thing to one of the hoses at purge valve and look for leaks? You have to keep it at like 2 PSI and let the pressure build some then pinch it off and look for the leak. sweet tool something i have thought of but never made. glad someone has done it with success! It works good I use it all the time. Good luck making one. I will stick to my smoke machine...rig the smoke machine up, look for smoke, pinpoint with some shop air and a flashlight. not bashing you, but what you made is well done. 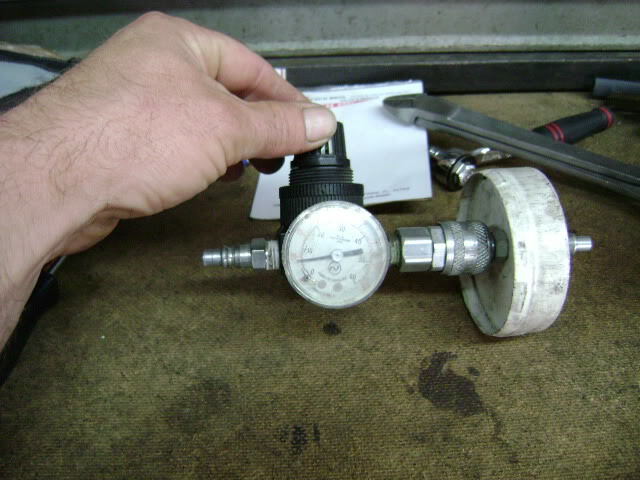 One improvement I see though instead of using a adjustable regulator, why not adapt a fuel pressure regulator, one of the set range type 3-4 PSI. 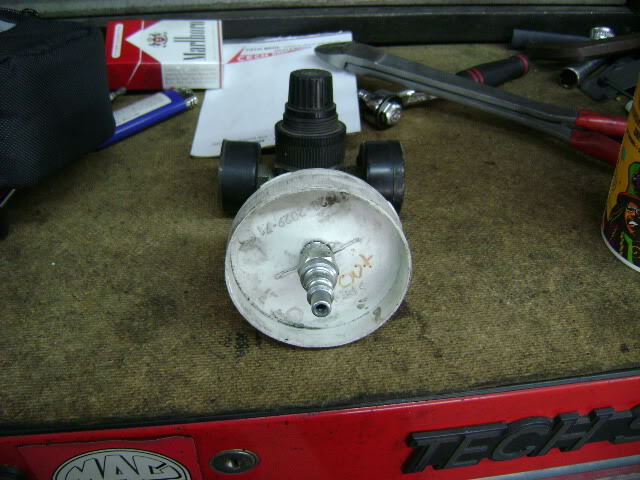 use an adapter to adapt the fittings. I could see getting those ***** turned, and blowing seals out. edit: sorry that was half baked. 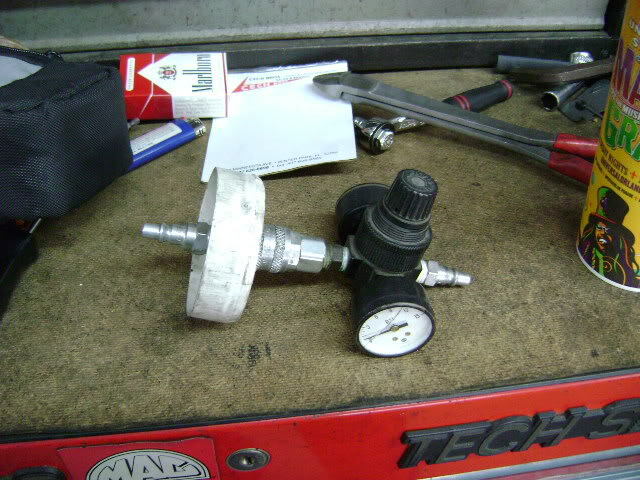 Shop air at ~80 PSI, would destroy any other type regulator, forget my fuel pressure regulator idea. Yes that could be a better way to do it. At the time that is what I had. Also the reg was really tight. Also once adjusted to the proper pressure pull the **** and it is disabled. The smoke machine does work good but have found leaks with that that the smoke machine could not. well you are saying 4 PSI right? My smoke machine only puts out .5 with no pressure (when holding in the air) 2.5 PSI max when in a chamber. So yes that would make sense. But that is only stubborn leaks.